Not Exactly A Bargain, But London's Luxury Property Falls After Brexit : Parallels One of the world's most notoriously expensive real estate markets – central London – is now a bargain after the Brexit vote. Assuming you've got at least $5 million to spend. 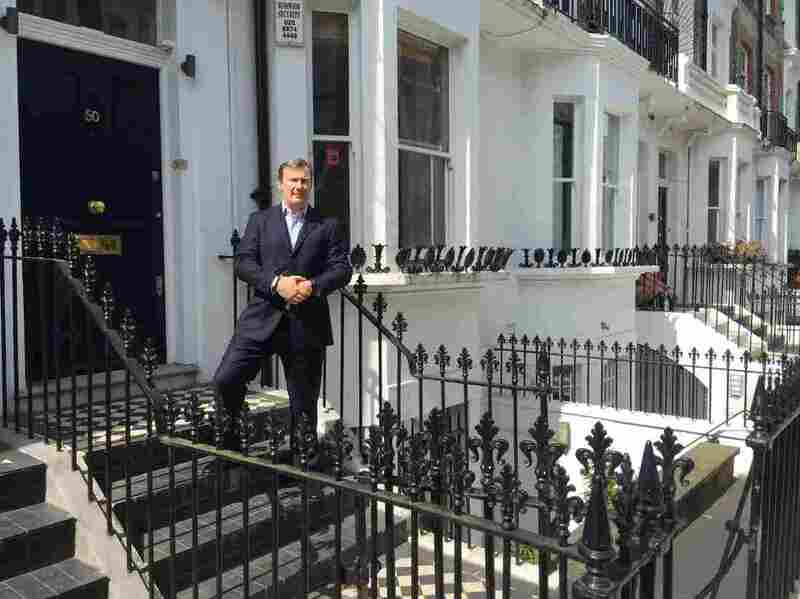 Realtor Simon Rose stands in front of a home he's working to sell in London's Chelsea neighborhood. 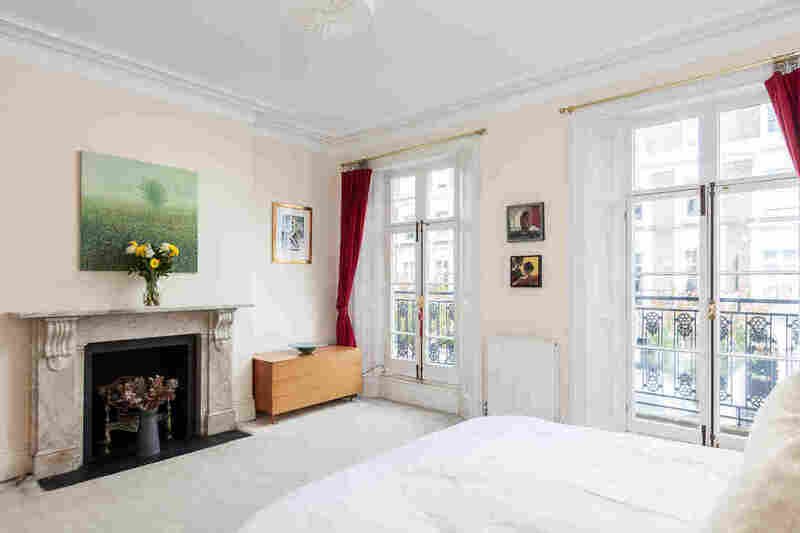 The home is on the market for a little over $7 million, but the asking price has been cut $700,000 since Britain voted in June to leave the European Union. Light streams in through the bay window of Mike Nelson's home in London's Chelsea neighborhood as he pitches it like a polished salesman. "It's a fantastic, six-bedroom house" says Nelson of his row home, which sits on a quiet street, lined with Japanese cherry trees in a section of town between Kensington Palace and the Thames. "It's got 3,100 square feet. 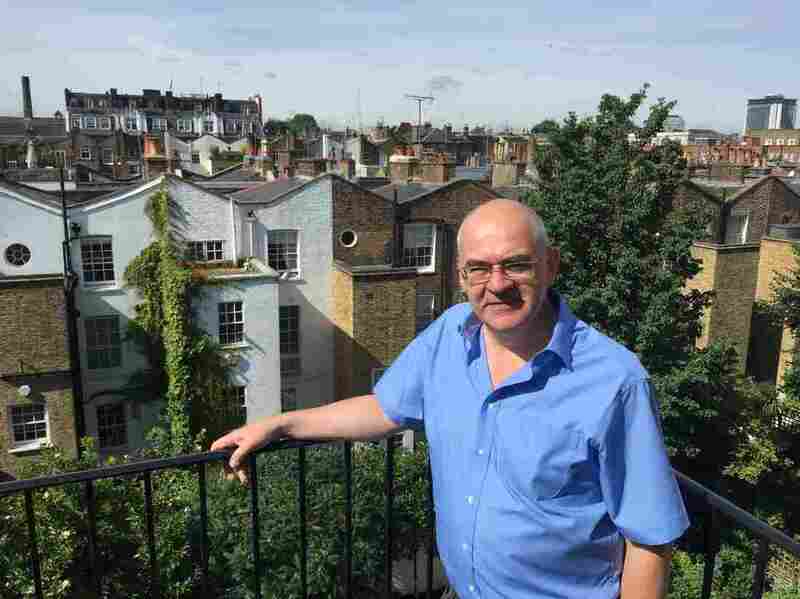 It's over five stories and has a very nice, western-facing back garden and a roof terrace at the top." There's even a gray, marble fireplace in the master bathroom, which served as a reception room in an earlier era. Nelson is asking a little over $7 million dollars. That sounds like a lot, but it's actually a $700,000 markdown from the original price when the house was first listed in the spring. Nelson, a management consultant, said he was forced to trim expectations after the United Kingdom voted in June to leave the European Union. "One has to be realistic about how the markets have changed," said Nelson, his tone turning sober. "Clearly it's given rise to a great deal of uncertainty and markets don't like uncertainty. They usually ask everyone to take a drop in value." Knight Frank, the global realtor, said values for prime London properties are down nearly 2 percent in the first eight months of this year – the steepest decline since the global financial crisis nearly a decade ago. The largest annual decline is nearly 9 percent here in Chelsea. A view of one of the bedrooms in Mike Nelson's Chelsea home. This is a big change from just a few years ago when luxury property in Central London was booming. Simon Rose, a realtor with the firm Strutt & Parker, who is trying sell Nelson's house, says it would have been much easier back then. "Decisions on houses such as the one that we're sitting in were made in minutes," explains Rose. "Probably you would make a bigger decision about your lunch than the property, because if you didn't make that decision, someone else would be coming in behind you and making an offer." Rose says prices have jumped up to 10 times in value over the past two decades. Many Londoners blame the run up on foreign buyers. In some instances, those buyers have been suspected of using London property to launder money or stash their wealth. Some in the real estate trade cite more basic economic principles. "The demand for London property is high because it's an incredibly attractive global city in which to live, work, play and visit, so the pressure on space is great," says Yolande Barnes, head of global research for Savills, the real estate advisors. "Like many global cities, it has a limited amount of land." The central London market began to turn several years ago because of sales tax hikes designed to bring luxury prices under control. Uncertainty following the vote to leave the EU has pushed values down even more. Mike Nelson is trying to sell his home in London's Chelsea neighborhood, but prices in the luxury market have declined after soaring for years. What's bad news for sellers like Mike Nelson, though, is good news for buyers, especially foreign ones who hold lots of U.S. dollars or euros. James Boulton-Lea, who also works for Strutt & Parker, recalls a recent case of bargain hunters who were looking at property in the weeks before the Brexit vote. "The profile of that buyer was an English family, based in the Cayman Islands, buying the property in dollars," says Boulton-Lea, "but for obvious reasons they wanted to sit tight and see what happened." After the referendum, the value of the British pound plunged as economists had predicted. The buyers paid in dollars, earning at least a 12 percent currency discount — a savings of more than $1 million dollars off the asking price. "There are various stories like that across the business," says Boulton-Lea. This is the sort of buyer that Mike Nelson hopes scoops up his home in Chelsea. Nelson first spoke with NPR in early August. Today, his home is still listed at around $7 million. It has yet to sell.